Learning to read is a skill that most SEN children can acquire. With BRI, it boils down to meticulously designed instruction, time for mastery, and engagement with all aspects of storytelling. The carefully structured books build confidence right from the start. It’s a sobering thought that most struggling readers need a mere 10-15 minutes daily of rigorous one-to-one practice in order to ‘crack the code’ yet many don’t receive this. The consequence is that, even in the early days of learning to read, children’s confidence can take a nose-dive. Seeing other children ‘take off’ effortlessly, they quickly marshal their defence mechanisms: ‘I’m rubbish’, ‘I can’t do it’… and, saddest of all, are prone to despair and subsequent switching off. And this feeling of worthlessness often results in low- level disruption or, in some cases, in seriously disruptive behaviour. This must affect the learning of every single student. It takes little imagination to empathise with these children, grappling with every element of learning to read, or even with one element, or to understand the enormity of the consequences of children who can’t read. Why aren’t we supporting them enough? 1. 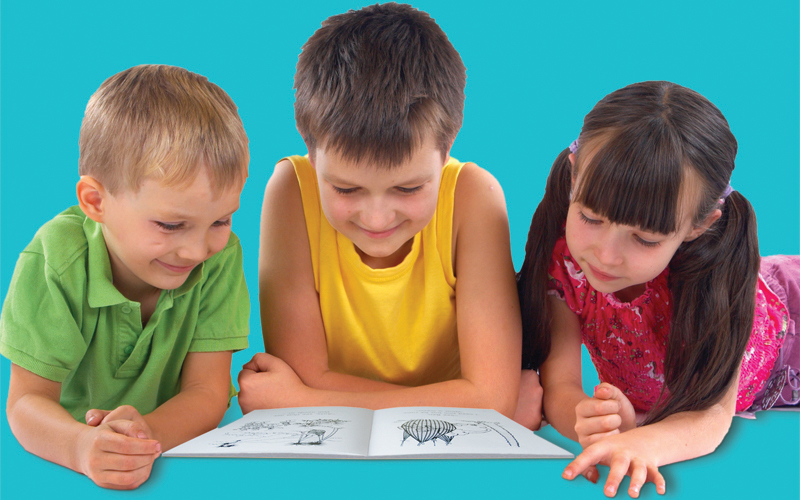 Instruction and practice takes place in stories inhabited by appealing and mischievous animal characters, rather than through instruction combining stories with ‘reading’ worksheets. 2. Letter choice with early BRI books make the task of blending as easy as possible, e.g. through frequent use of the sibilant sound /s/ ‘Sam’ ‘s ee’ ’sit’ ‘Sid’ ‘sat’ ‘sun’ ‘its’. This attention to detail facilitates children’s ability to ‘hear’ each sound during the blending process and also makes ‘guessing’ fiendishly difficult. 3. Overlearning/spaced out practice. Words are repeated at least five times in the book in which they are introduced and a number of times in subsequent books. 4. Interleaving. New words are frequently interleaved with words composed of ‘taught’ letter/sound combinations from earlier books i.e. : see, meet, feet, weed, tree, keep. 5. Re-reading BRI stories. This crucial practice results in automatic decoding (fluency). It also enables a teacher or parent to model expression, explore meaning, and extend vocabulary. 6. Story questions at the end of each book encourage discussion and are particularly helpful for children with Speech, Language and Communication (SLC) problems.